Acne scars are areas of fibrous tissue (fibrosis) that replace normal skin after injury. A scar results from the biological process of wound repair in the skin and other tissues of the body. With the exception of minor lesions, every wound (e.g. after accident, disease, surgery) results in some degree of scarring. Scar tissue is the same protein (collagen) as the tissue that it replaces, but the fibre composition of the protein is different. Instead of a nice “basket weave” formation of fibres, the collagen in scar tissue is aligned in a single direction resulting in a pronounced and thicker appearance. There are multiple causes of acne, including hormone dysfunction, allergies, environmental factors, and nutritional deficiencies. 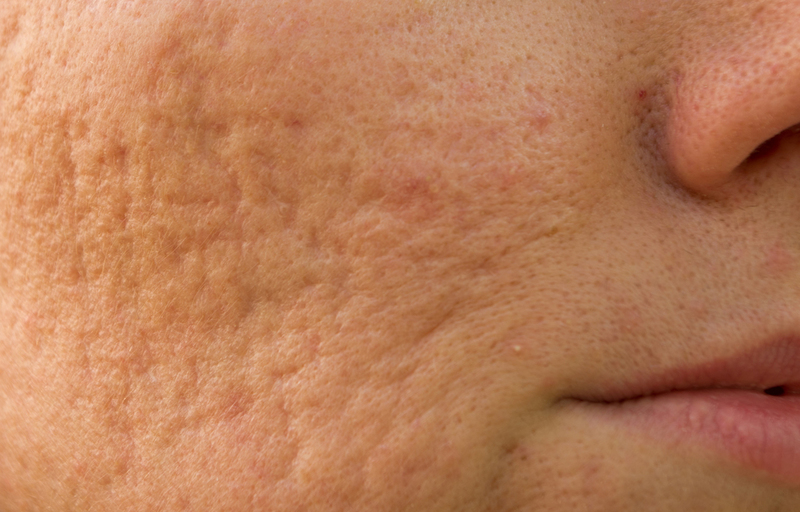 Regardless of the cause, acne scars are a result of skin follicles becoming blocked by excessive oils. The skin will attempt to heal anyway, and scar tissue forms as the collagen become deformed and thickens. What is the basic principle behind acne scar attenuation? Any aesthetic treatment for acne scar or chickenpox scar attenuation uses the very well known basic principle of skin resurfacing, which in turn produces skin regeneration. The basic principle is to stimulate the skin in a certain way (maybe by using lasers, voltaic plasma, micro-needling, chemical peels etc) so that the old skin is removed and new collagen forms generating new firmer, tighter and smoother skin. As we will see, this can be done in a number of different ways, at different costs, leading to similar end results, which is the improvement in the appearance of the atrophic scars. 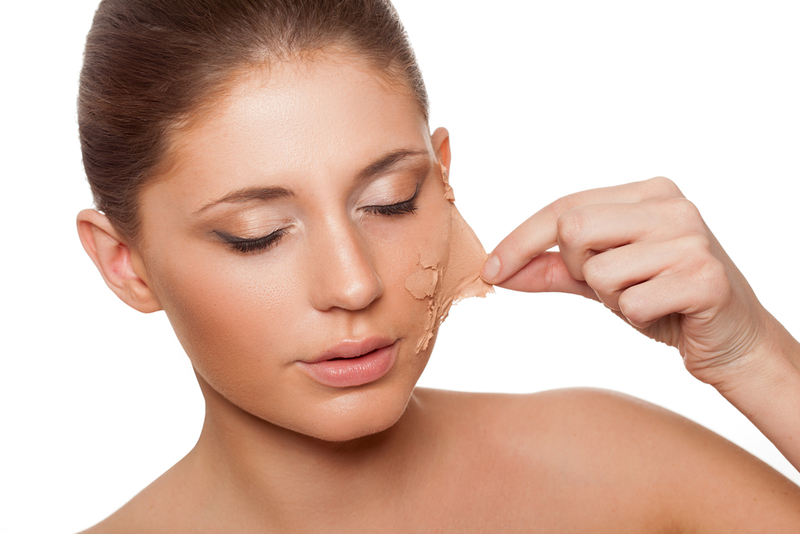 The benefits of skin regeneration to improve the appearance of acne scars is very well known. Fortunately, the results are repeatable and consistent. The only downside is that there are not currently known ways to remove the acne scars completely using any of the aesthetic treatments available within a single session. Generally, a number of treatments are necessary in order to achieve satisfactory results. Each treatment stimulates the skin in order to produce new collagen and get rid of the old layer of uneven skin. Every time this happens the appearance of the acne scars improves slightly. Therefore repeating the treatments usually leads to very good results. Please note that in case of “ice pick scars” none of these treatments can bring about excellent results as the only way to reach acceptable results is the use of minor surgery followed by a number of skin resurfacing treatments. After all, these aesthetic treatments are not suitable to reconstruct the missing skin of the atrophic scars. Micro-needling is a very well known aesthetic treatment. The are many products available on the market. Some are marketed for medical use only and others are marketed as home-based aesthetic treatments. 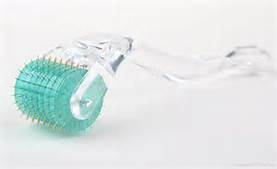 The most known products are the dermapen and dermaroller. There are also many others available on the market. The basic principle is based on causing a mechanical injury by piercing the skin multiple times. This micro-injury will induce the skin regeneration process, therefore, producing new collagen. Depending on the product used the treatment can cause minor bleeding. The downtime is minimal and can last 2 to 3 days and some scabbing may form during healing. Usually, 3 to 5 treatments may be required to achieve a good improvement in the appearance of acne scars. 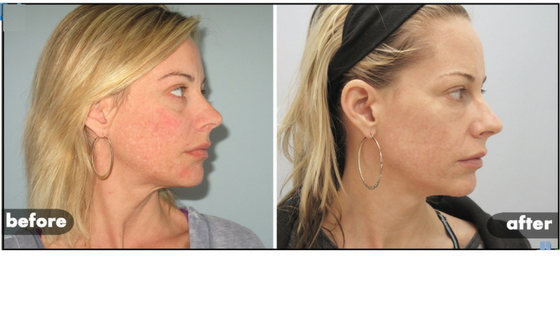 For years, microneedling has been providing results and improving the appearance of acne scars. The physiological nature of microneedling can break up fibrous and uneven scar tissue, and encourage the growth of new tissue. The treatment keeps the epidermis integrity fully intact, which quickens healing time and causes less pain. How can I tell if I need surgery or not? Improving the appearance of acne scars is a mere aesthetic treatment. Surgery is recommended only if the scars are very deep. In case of isolated deep scars (“ice pick Scar”). This is an example of when minor surgery may be recommended. In this example, various types of aesthetic treatments can help improve the overall appearance of the skin including, improving the appearance of the atrophic scars, however, the best results in case of deep scars are achieved following aesthetic treatments after minor surgery. This is because the aesthetic treatments available today are not suitable to reconstruct the missing part of the skin. Therefore a minor reconstructive procedure can bring about the best results. Non-commendable for minor surgical Treatments. 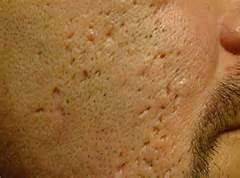 The aesthetic treatments currently available are usually sufficient to achieve very good improvements in this type of acne scars. In the case above although the atrophic scar is evident. They are not very deep like in the case of “Ice Pick Scar”, therefore surgery is not necessary to improve the appearance of these types of scars. As a rule of thumb, if the scars look more like an uneven skin structure and not like many little-isolated holes, then the vast array of aesthetic treatments available will be usually very effective in improving the appearance of this type of atrophic scars. How many sessions are necessary? Of course, always recommend that you consult your medical professional on the best course of action for your individual skin conditions. While each patient is different and conditions will vary, the average treatment regimen consists of 5-6 sessions. Adjustable needles penetrate a controlled depth into the dermis, which means that results are initially seen in six weeks. However, the full benefits of the treatment can take up three months to take effect.